Deck Protectors with Ultra PRO's hologram quality seal. 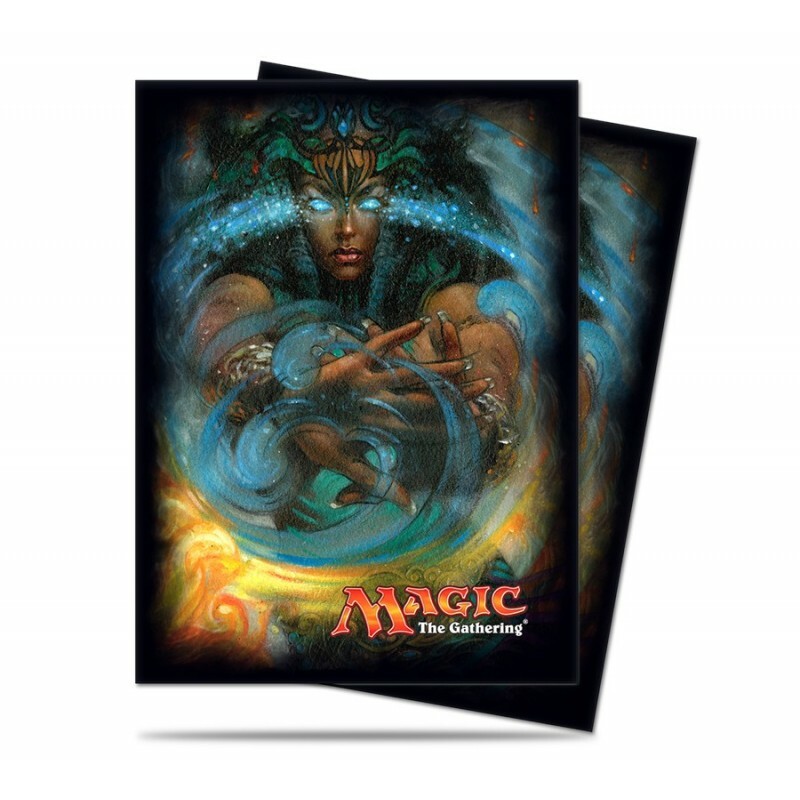 Sized 66mm X 91mm to store and protect standard sized cards. All Ultra PRO Deck Protectors are archival-safe and acid-free. 80-count pack. Features Eternal Master 2016 artwork. The size of these sleeves is good for Standard cards, like Magic The Gathering, Pokemon and Force of Will. WARNING: These sleeves are to large for Yu-Gi-Oh and Vanguard! Do you need more? Buy 2 packs! Are you looking for a better protection? Look for Ultra Pro Pro-Fit! Inner sleeves between the standard sleeve and the card!